That’s the amazing news that space boffins at NASA have confirmed this week. 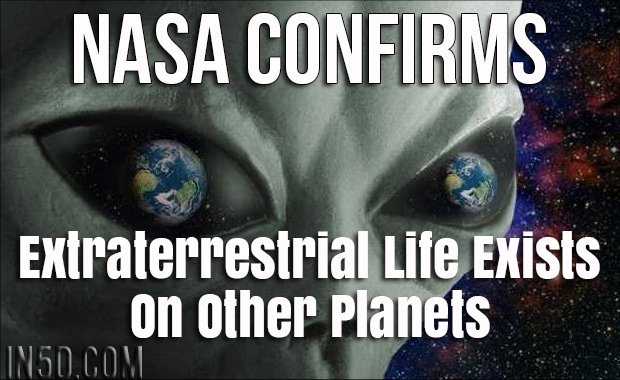 The US space agency has spoken for the first time about life on other planets and they are certain it DOES exist. Having made the astonishing claims during a conference in Washington, NASA now hopes to scour the universe in hope of finding these alien life-forms. And they are planning to use some of the world’s most advanced technology to produce a road map of space. NASA has already discovered more than 5,000 planets that could sustain life and many more are likely to be found. Today’s modern telescopes can look at hundreds of stars and tell if they have one or more orbiting planets. And they can even determine if the planets are the right distance away from their host star to contain liquid water, which is the key ingredient to life as we know it. NASA plans to launch new telescopes in the next few years, including the incredible Webb Space Telescope. This state-of-the-art machine will search for oceans in the form of atmospheric water vapor – and look for life on nearby planets that are similar to Earth in size and mass. “This technology we are using to explore exoplanets is real,” said John Grunsfeld, astronaut and associate administrator for NASA’s Science Mission Directorate in Washington. NASA is convinced that life can be found and that we are not alone in the universe. “What we didn’t know five years ago is that perhaps 10 to 20 percent of stars around us have Earth-size planets in the habitable zone,” says Matt Mountain, director and Webb telescope scientist at the Space Telescope Science Institute in Baltimore. “It’s within our grasp to pull off a discovery that will change the world for ever.